As a local tour agency specialized in Tibet tours programs designing, Tibet Travel Expert offers you a variety of traveling advice about visiting in Tibet. With our professional expertise and experience, we are dedicated to create a more valuable, authentic Tibet trip for you. 2017 holiday is around the corner and why not start your Tibet tour plan now? Here we recommend you some nice Tibet tour programs. If your budget is tight or you don’t have much time, beside the Potala Palace, Jokhang and Barkhor one day hihglight tour, this one day easy Lhasa tour is a good choice. In this trip, you will visit Drepung Monastery, one of the three greatest Gelug Monasteries in Tibetan Buddhism. In the afternoon, you will come to Sera Monastery, and you will absolutely enjoy the Buddhism philosophy debating activity between Tibetan Monks. Read more about this 1 Day Drepung and Sera Monastery Group Tour. Hey, this is highlighted news for you now. After couple of days easy tour in and/or around Lhasa, then I guess you have get well acclimatized to the high altitude now. And we are going to take the 3 nights 4 full days highlighted Tibet photography adventure. This 1400 km landscape journey will offer you so much to see. 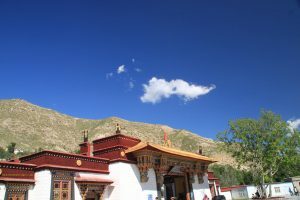 It covers the attraction of Lake Yamdrok, Karola Glacier, Pelkhor Monastery, Tashilhunpo Monastery and the top attraction of Mt. Everest. Follow this Everest Base Camp Group Tour 2017 to learn more details! You won’t be disappointed. This is another highlight group tour of Tibet. Many pilgrims even come back to Tibet again and again to fulfill the top spiritual journey. 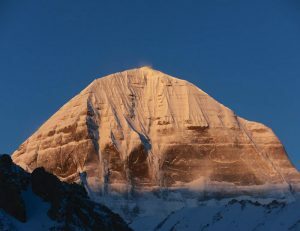 According to our more than 14 years’ experience, many repeated Kailash travelers just spend around 2 weeks only. The 13 nights 14 days can cover the Everest and Lhasa in their tour program. The regular Kailash EBC tour takes 9 nights 10 full days trip outside of Lhasa. If you want to have 1 or 2 free days in Lhasa, after the easy tour in Lhasa, the 9 nights 10 days Kailash EBC tour will be your good choice. Besides above Tibet tour programs, you can also follow our Tibet travel agency website to learn more about your tour options.Our Tibet Travel services can help you with everything one-offs like hotels, Tibet travel permits,Tibetan guide,tickets, driver and car rental. We offer Tibet tours lasting anywhere from 1 day to 3 or 4 weeks. No matter if you are an outdoor adventurer, Kailash pilgrim, or wanting to learn about Tibetan culture, TibetTravelExpert.Com will always be the most suitable Tibet travel solution for you. To book a Tibet travel, start here?